Later on the night of the 12th he told me that he’d talked with one of his friends and they were able to console each other. Her grandfather had died in the days that Merrick was away and she hadn’t told anyone either. Long distance parenting is tricky stuff. I worry so much about Merrick, knowing all the mixed feelings October brings for him. His birthday is coming up and he’d forgotten until a call from his grandmother asking him what he wanted. 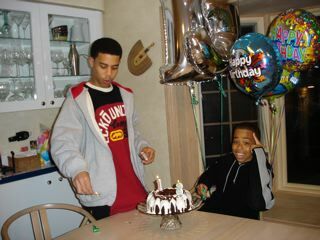 His 19th birthday is on Thursday and the memory of losing Jordan clouds and threatens to cover a day of celebrating life. Merrick has had to grow up and rectify in his heart the loss, longing and need for his big brother with the reality that he has a life to live and he wants it to be long and filled with goodness and prosperity. I watch him struggle with these emotions knowing there are days when all he wants is Jordan, only Jordan to be his sounding board as he navigates college. Gratefully he shares his concerns and anguish with me even though most of the time all I can do is listen and tell him his feelings are perfectly normal. I wish I could do more. I have another son about to be 19 and I’m praying that it won’t be a year to simply get through so that we can usher in age 20 and feel some superstitious relief. It is Merrick’s time and my greatest prayer and hope is that he continues to thrive and that he learns to trust that Jordan hasn’t left him completely, but is so close, still ready to be a big brother to him. I’m downstairs, listening to my daughters who are upstairs simultaneously practicing flute and clarinet. They’re in separate rooms but I have no idea how they can practice without messing up the other’s timing. Tomorrow is a snow day! It is the first my daughters have ever had since being in school. They are beyond excited. Merrick found out his high school is closed tomorrow as well, the first time since the mid 1970’s. Before he could fully relax he asked me, “Mom, they really said school is closed. You’re sure?” So we’re all hunkered down for the storm. Mark is home and aside from the howling winds our house feels safe. I’m working to bring safety back to my spirit. When I emailed Edward to ask about the accident I did so without letting anyone know. Mark wishes I’d stop, not wanting me to hurt anymore than I do now. He thinks we know enough and that any additional details will only hurt me more. He may be right. The mother in me, Jordan’s mother, can’t rest without understanding the whole of the truth of that night. Mark’s afraid I’ll be haunted by what I find out. I’m afraid I’ll be haunted if I don’t. I check my email as usual everyday, not expecting to see a response from Edward but bracing myself just in case there is one. So far he has not responded or acknowledged my query of him. There may never be a response. I did fantasize when I saw the mailman across the street today that perhaps Edward was writing a real letter and that was why I hadn’t heard from him yet. I know I’ve asked a lot of him. What I’m learning from my own experience about trauma and PTSD are that the things the mind does to protect the heart are astounding. Edward may be in full protection mode and unable to even go back to that night. I remember that Mark talked to the coroner in MA by phone and James was also on the line. He told me afterwards what they said. What I remember from that conversation is him saying, “Jordan was asleep. He didn’t feel any pain.” That’s what my mind took in and that’s what my heart could handle. Almost 2 1/2 years later the shock and blur of Jordan’s accident are not as constant and I can’t explain to anyone why I crave details now. I read a short story a while ago entitled, “The Girlfriend.” It is in a book by Maile Meloy called,Both Ways Is The Only Way I Want It. In the story a father seeks out the girlfriend of the man who murdered his daughter after the trial where the man is found guilty. He wants to know every detail of that night that he can find. What the father ultimately finds out makes him feel worse, almost a party to the crime instead of somehow more settled. I’ve thought about that story a lot wondering if I’ll end up like the father having too much information that will have to somehow keep house with my pain not ease it. I just don’t know. 5.To ask all the questions that I want answers to, even if there aren’t any answers. 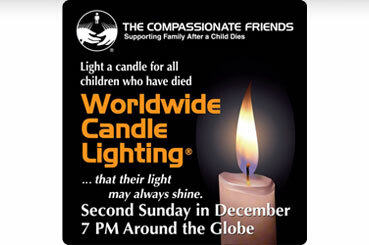 December 12th was the Worldwide Candle Lightning ceremony which is sponsored by The Compassionate Friends organization. At 7pm, your local time, they asked that you light a candle for a child that died so that around the world, there will be 24 hours of light in remembrance .I posted their “poster” on my Facebook page asking friends and family to join in the ceremony. We have a Jordan candle that we bought in 2008 specifically for the candle lighting ceremony. A couple of hours before 7 pm sadness started to seep in and the ceremonial candle lighting felt more onerous than comforting. 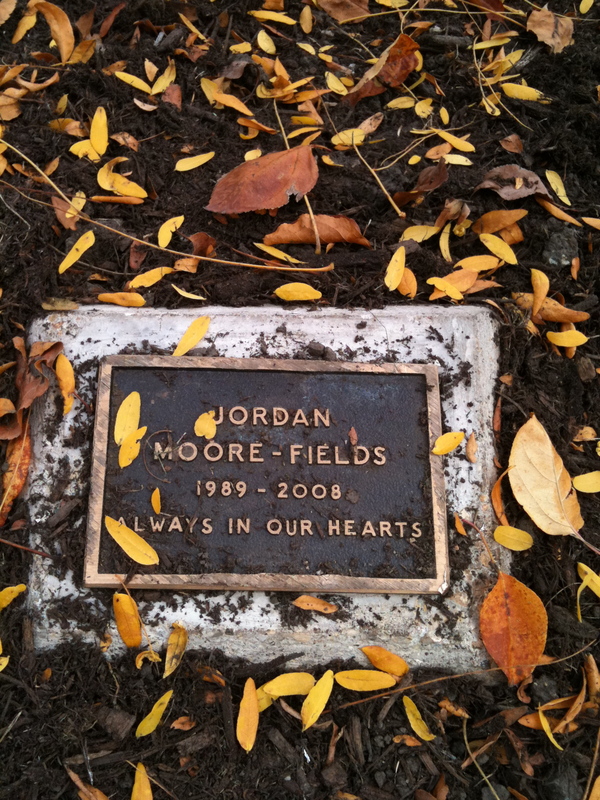 Mark and I got were out most of the afternoon running errands and the thought of one light flickering to honor Jordan made me think of the first year we lit the candle. Mark the girls and I sat numbly and cried, while Merrick stood pacing as the candle flickered. Merrick finally asked to be excused and escaped to his room. Last year was less ceremonial. I lit the candle on my own and when one of the kids asked why, I told them, “It’s for the candle lighting ceremony to honor children who died.” From each of them I received an, “Oh,” as they went about their way. I didn’t want to light Jordan’s candle if it meant adding to our sadness. 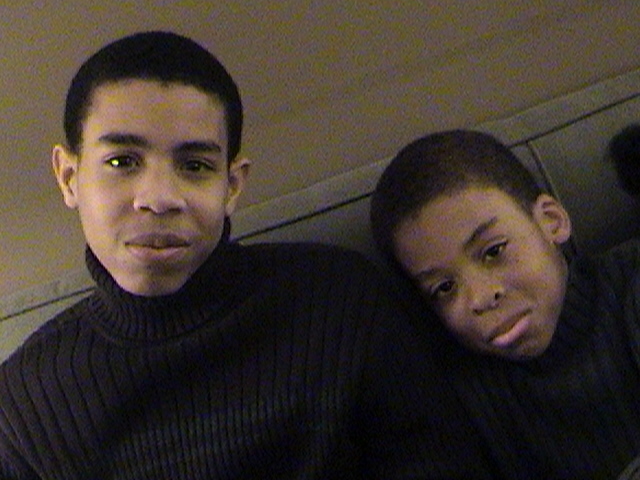 Many days Mark or I will light the candle when we are missing Jordan and have no place to focus our longing. The flame gives us peace. We’ve both held our daughters after they’ve lit Jordan’s candle because they miss him so much. Each time the lit candle was a point of comfort and connection. But on the ceremonial day it started to make me feel like I was slipping deeper into mourning. I intently gazed at Jordan’s candle reminding myself that I’d lit it because I wanted our family to honor his memory not to bring on additional sadness. The flames flickered and I thought of other children I knew who were gone but forever loved: Dougie, Dawn, Paige, Marcus, Larry Jr., Rory, Max, Hudson, Henry, Heather, Trina, Matt and so many others. After a sweeping look around the room at all the candles burning and a, “I love you Jordan,” I got up and checked on dinner. The candles burned in the background filling the room with light.